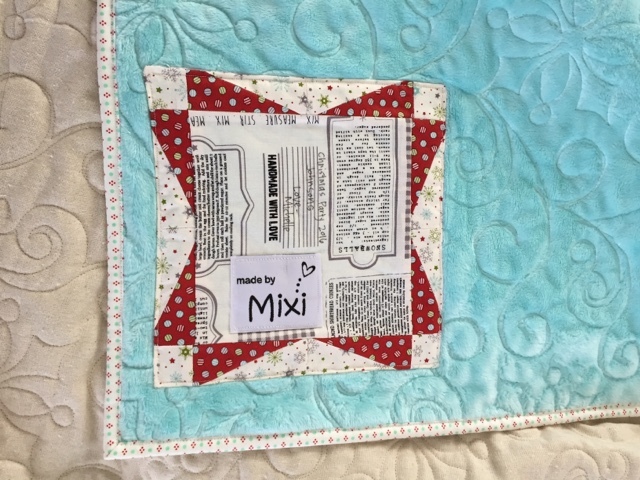 There isn't any better homemade gift that a quilt!! Hands down. 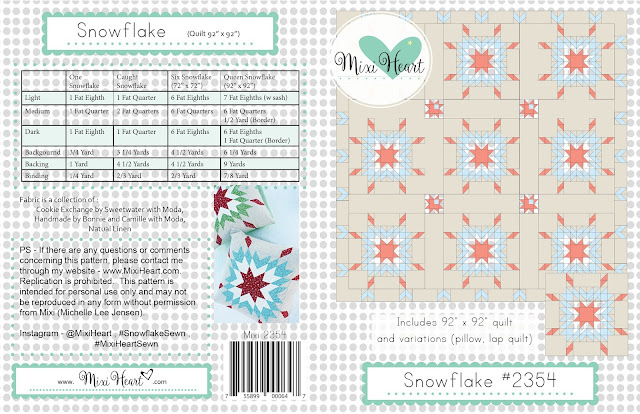 This year I released a new pattern called snowflake (available in shop). I couldn't wait to make it. I had a few people in mind for gifts and decided that I could make snowflake four times. I have three down and still one left (shhh... the one left is for us and it is okay because it might not get finished this year :). 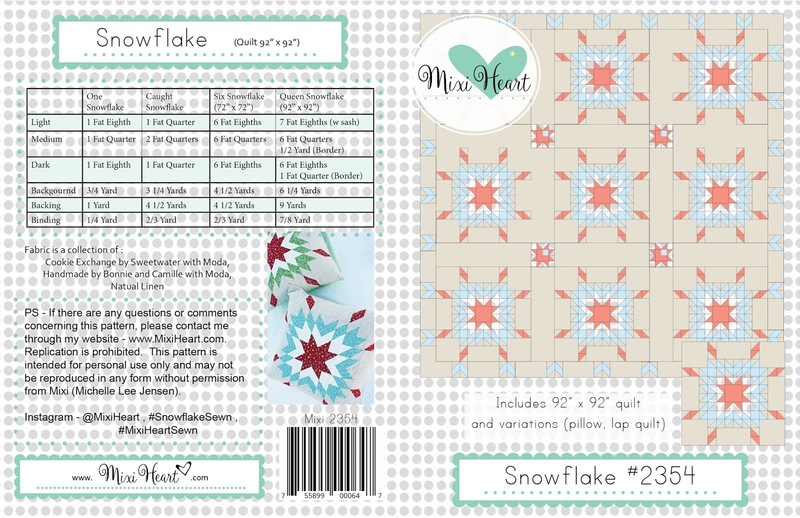 Here is Snowflake in pattern form - And the cover picture is the quilt layout I am trying to make for us, sometimes and I know I mentioned this before I wish I had extra time just for quilting because I have so many things I want to make, lol. For the gifts I made just one snowflake and added extra background. 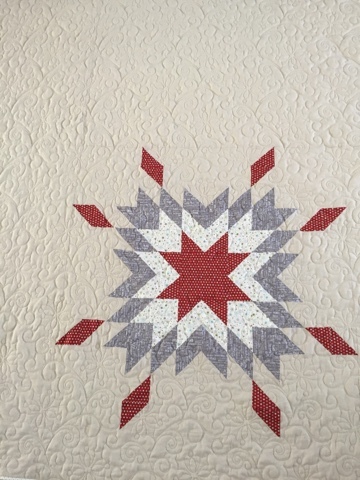 This layout is included in the pattern. 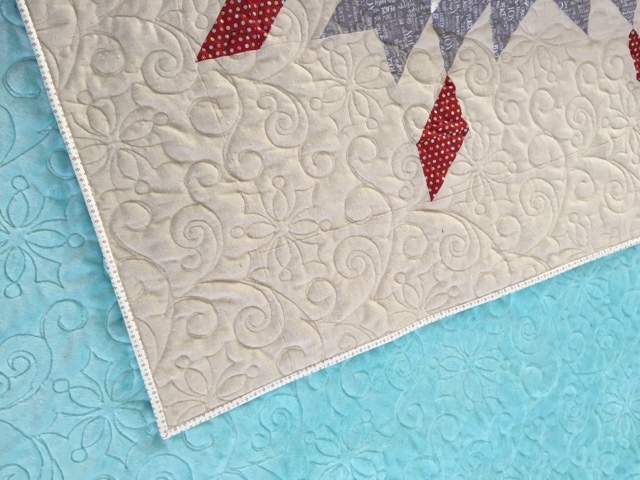 You might be able to see that it gives instructions to make one snowflake, one caught snowflake (which is just a snowflake super sized), six snowflake lap quilt, and the queen snowflake which is shown on cover. 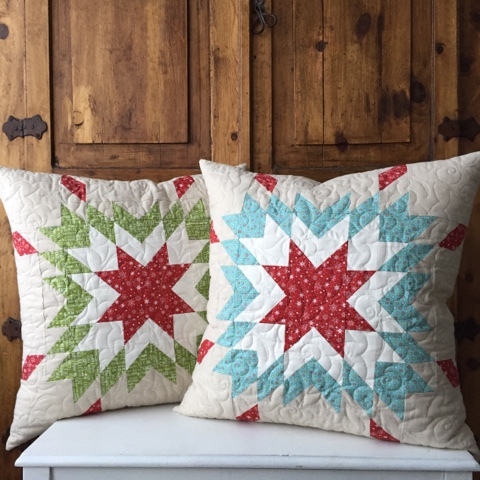 First Up Single Snowflake set as pillows. 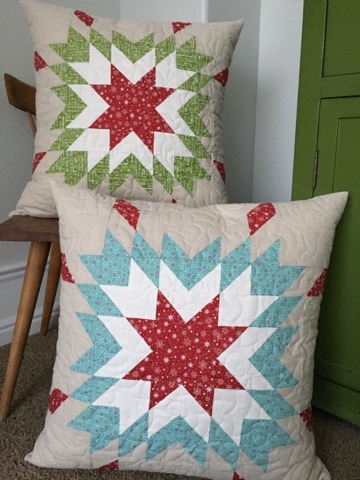 I just love these pillows!!! 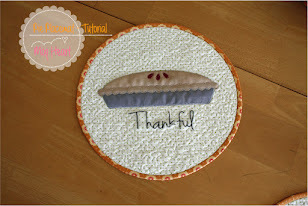 I made two for gifts for Thanksgiving and I just couldn't get over how cute they turned out. I used a Euro Pillow to stuff the pillow covers and they just looked so cute when I was taking pictures. I took a bazillion because I just couldn't help myself. Maybe next year I can make a few to keep in our house. I made a pack with a friend to sew for Christmas Decorations for our home during this coming January but I seriously doubt that will come to fruition because by then we will be making cute things for Valentines or something. 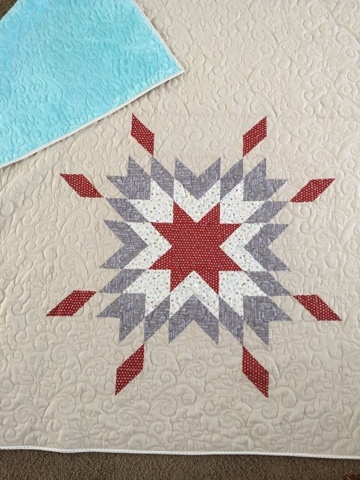 The Caught Snowflake was fun to put together. 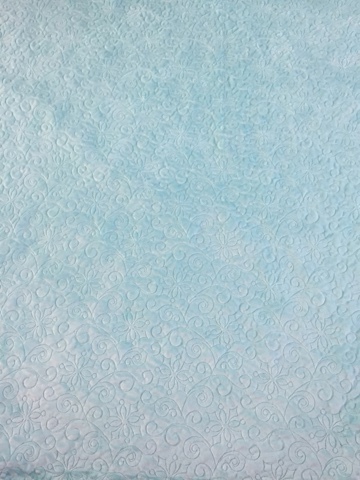 It worked out so nice with the WOF to set the block. I had very little waste when I was all finished. 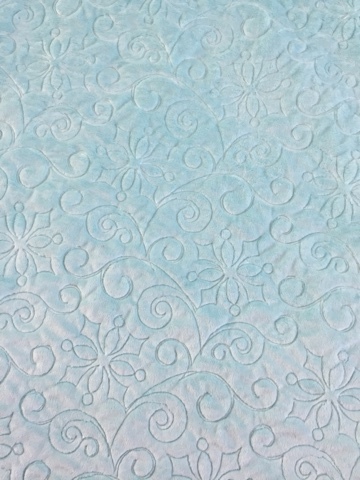 I quilted the lap quilt version with a snowflake quilting pattern which I felt was appropriate!! Right!! 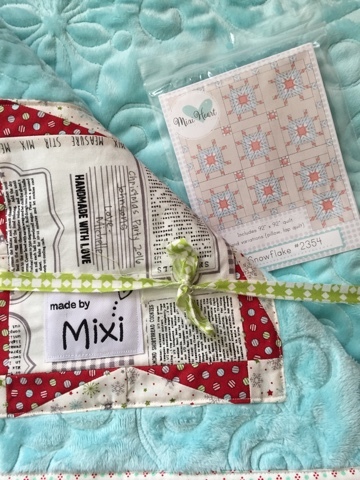 And I have backed so many things with Minky (I used Shannon Fabrics Cuddle Solid Saltwater). I can't emphasize enough how soft the Minky fabric is. 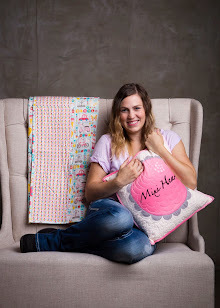 Would it surprise you to know that we don't have one Minky Quilt that we cuddle with? I know what is wrong with this picture? I will let you in on a little secret that we will have at least two by the end of this month, he, he, he. If Santa decides to bring them of course! You never really leave the place you love. You take part of it with you and you leave part of you there. Don't exchange you authenticity for approval. Elegance isn't about being noticed it's about being remembered. Hi Michelle, OH MY GOSH! Adorable! Love it so much! So happy to be working with you!